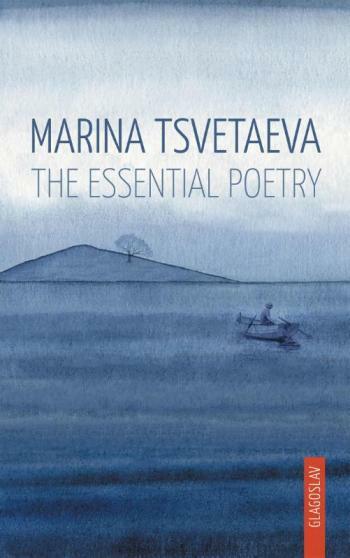 Marina Tsvetaeva: The Essential Poetry includes translations by Michael M. Naydan and Slava I. Yastremski of lyric poetry from all of great Modernist Russian poet Marina Tsvetaevas published collections and from all periods of her life. It also includes a translation of two of Tsvetaevas masterpieces in the genre of the long poem, Poem of the End and Poem of the Mountain. The collection strives to present the best of Tsvetaevas poetry in a small single volume and to give a representative overview of Tsvetaevas high art and development of different poetic styles over the course of her creative lifetime. Also included in the volume are a guest introduction by eminent American poet Tess Gallagher, a translators introduction and extensive endnotes. Naydan and Yastremski have previously published a well-received annotated translation of Tsvetaevas collection After Russia with Ardis Publishers. The fourteen previously published translations from the After Russia collection have been revised for this volume. Marina Tsvetaeva A tragic figure in Russian literature, Marina Tsvetaeva is mentioned in the same heights of her distinguished contemporaries Anna Akhmatova, Osip Mandelstam and Boris Pasternak. She published her first collection of intimate lyric poetry at her own expense in 1910 under the title Evening Album, which garnered positive reactions from several prominent poets, who by happenstance reviewed it. She published her second collection Magic Lantern in 1912 and a compilation from her first two collections From Two Books in 1913. Both publications marked her early years in poetry. To follow was her mature period that was shadowed by a romantic fiasco and childbirth in Tsvetaevas life, and social turbulence in the old Russia that impacted her family. Despite severe hardship, Tsvetaevas creative output was on the rise during the years of the Russian Civil War from 1917-1922. Her daughter Irina died of malnutrition at age 3 in 1920, a tragedy that sparked a series of poems that came out in the following years. Typical of Tsvetaeva in that period was creating lyrical diaries that closely followed events in her life in chronological order. Having immigrated to Europe, Tsvetaeva continued writing poetry but gradually shifted to mostly writing imaginative literary essays and prose memoirs. Another major creative outlet for her comprised the extensive correspondence she had with major poets such as Boris Pasternak and Rainer Marie Rilke. While in Paris, Tsvetaevas husband Sergei Efron became involved with a Eurasian organization that promoted the return of Russian emigrants back to the USSR. Efron, after he was implicated in a plot to kill the defector Soviet agent Ignace Reiss, fled first to Spain then back to the USSR. Tsvetaeva followed her husband back to the Soviet Union with her family, where Efron was executed as a spy and her daughter Ariadna sentenced to a lengthy prison term in Stalins GULAG on the same charge. After being evacuated to Yelabuga from Moscow with her son Mur, Tsvetaeva hanged herself on August 31, 1941. Following her death, her son joined the Red Army and was killed in battle in 1944.